On the ground, in the woods. Brown scales on cap with a shaggy stem. Stains yellow on cap when bruised or scratched. 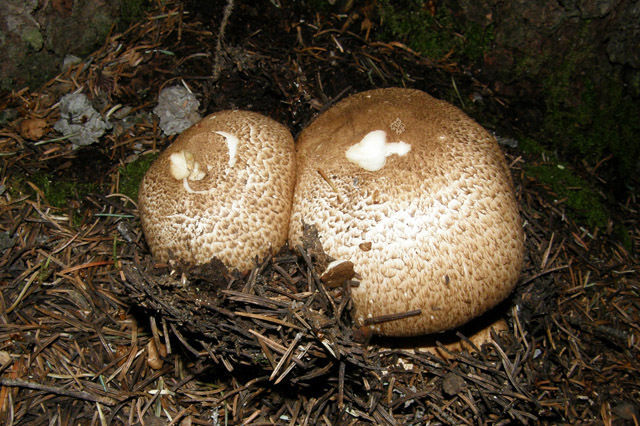 Agaricus amicosus stains red while the prince stains yellow. This is one that is not found most years. The bugs like it so much it's typically infested by this stage.